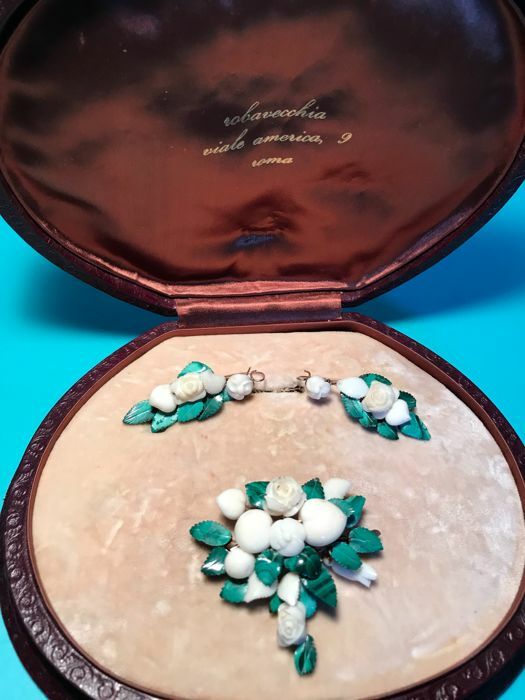 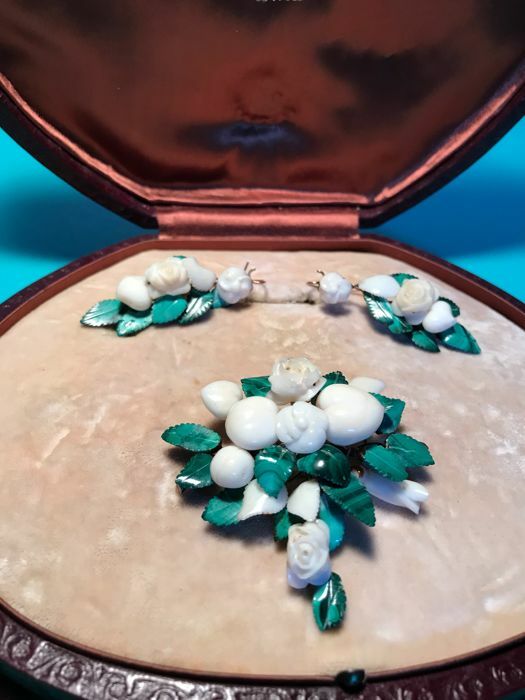 "Day" parure in white coral and malachite with 8 kt yellow gold frame. 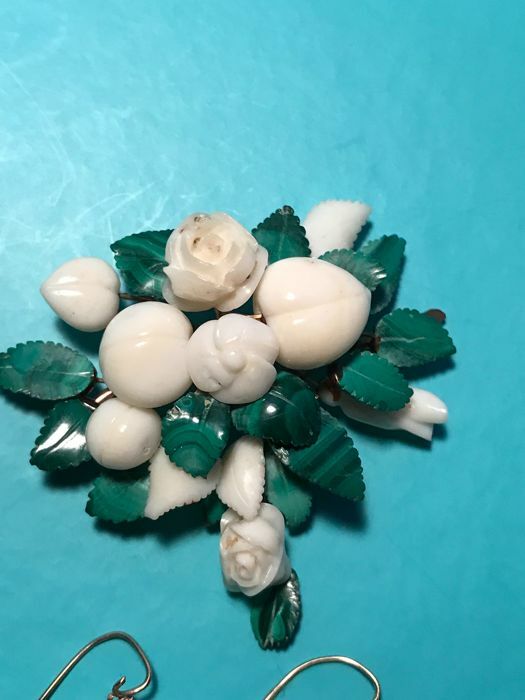 No hallmark or stamp of any kind. 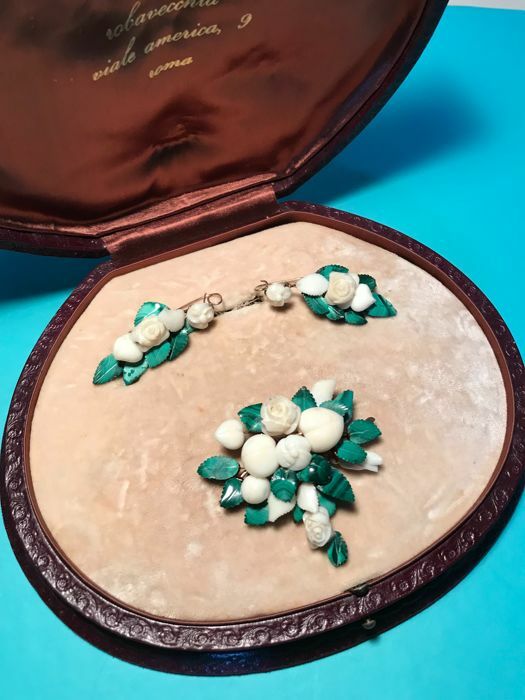 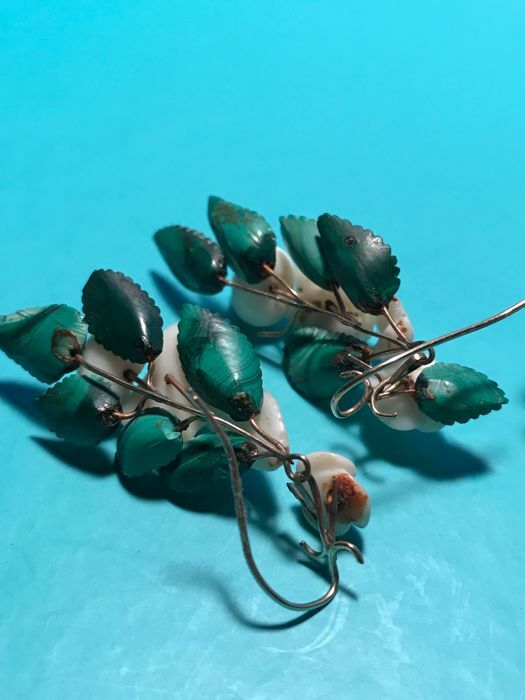 Presumably made in Naples, in the 19th century. 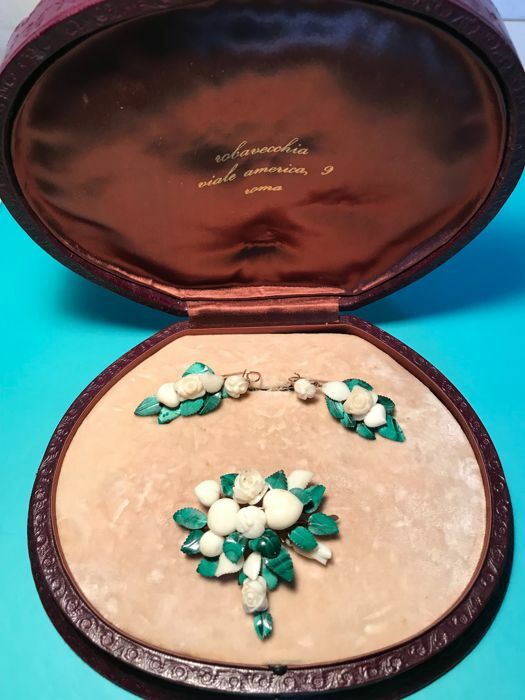 The parure has clear signs of wear and damage. 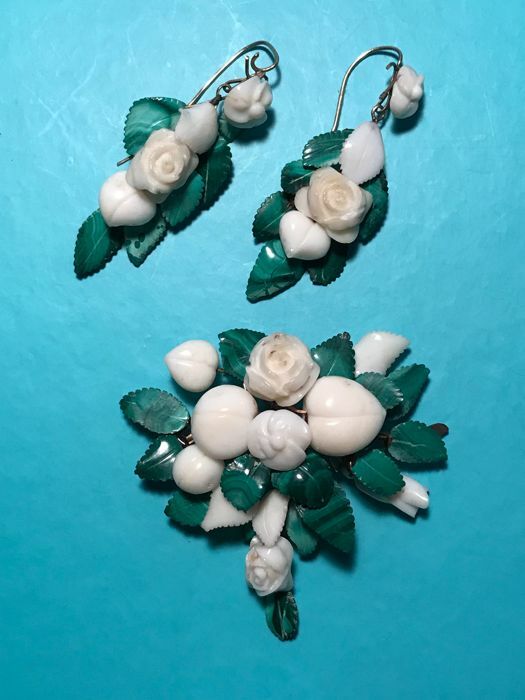 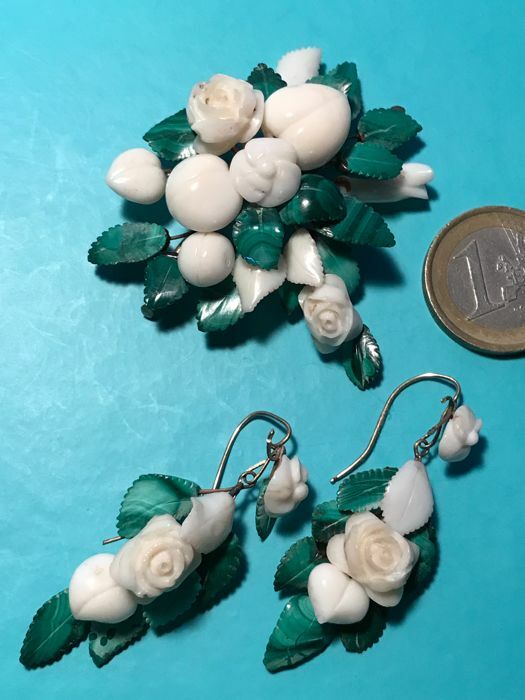 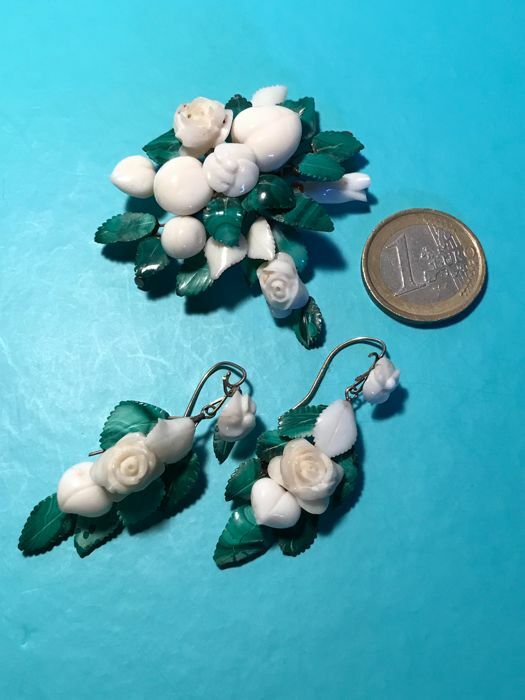 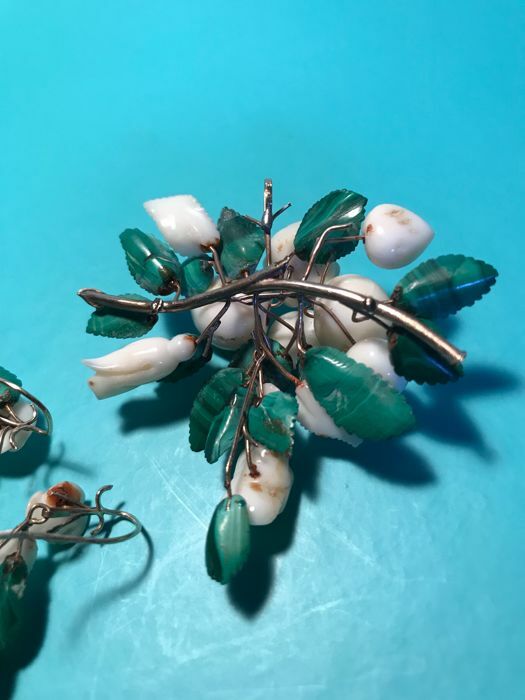 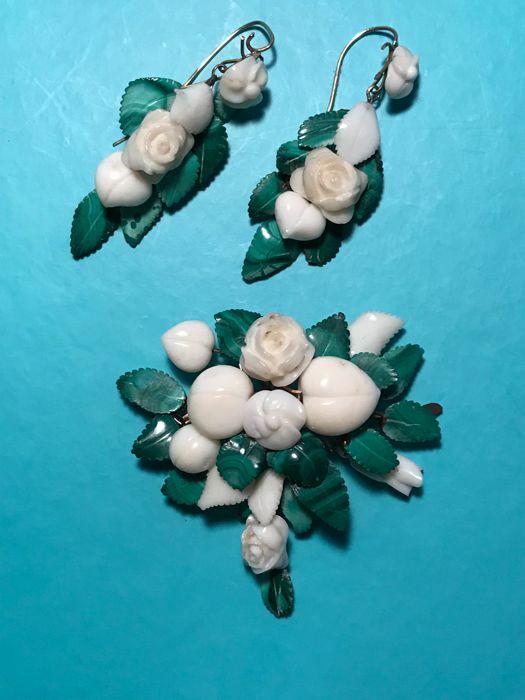 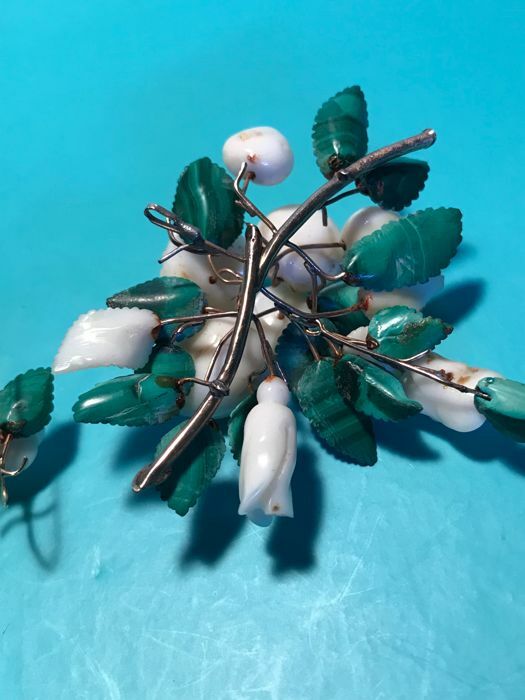 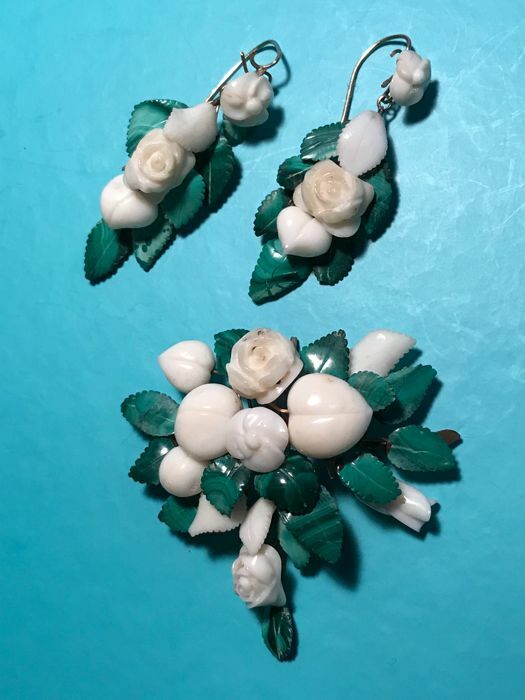 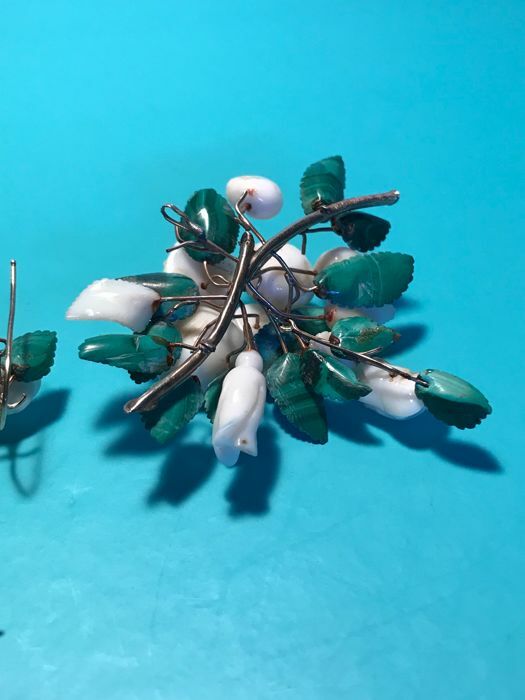 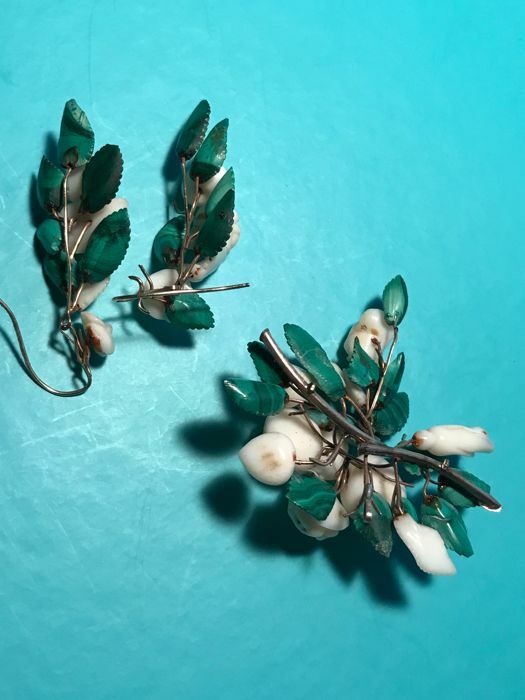 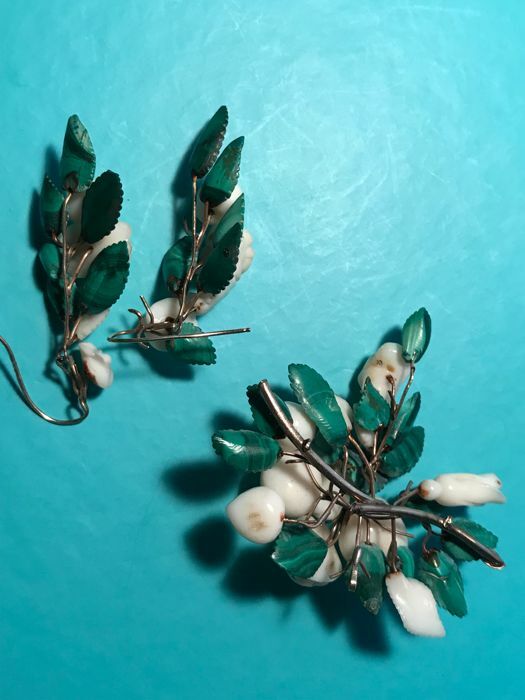 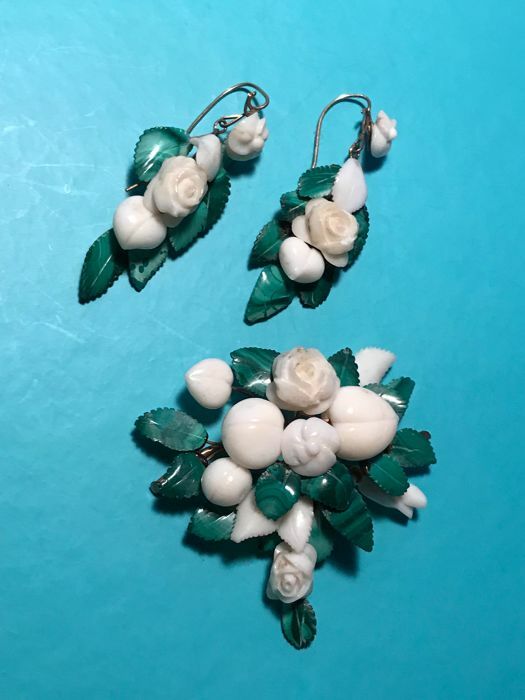 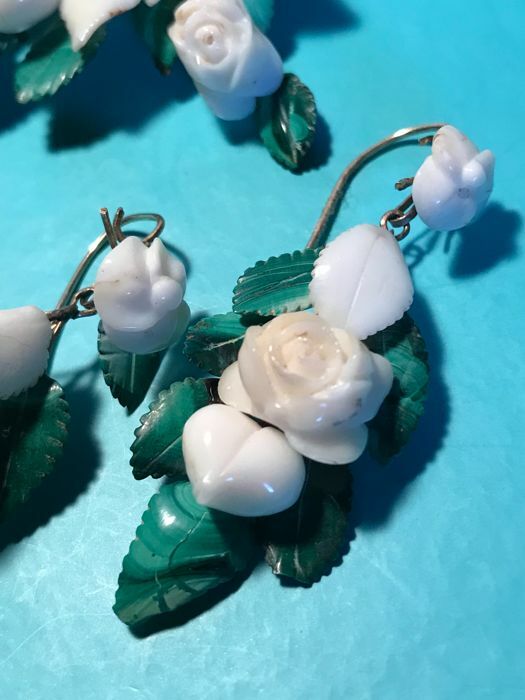 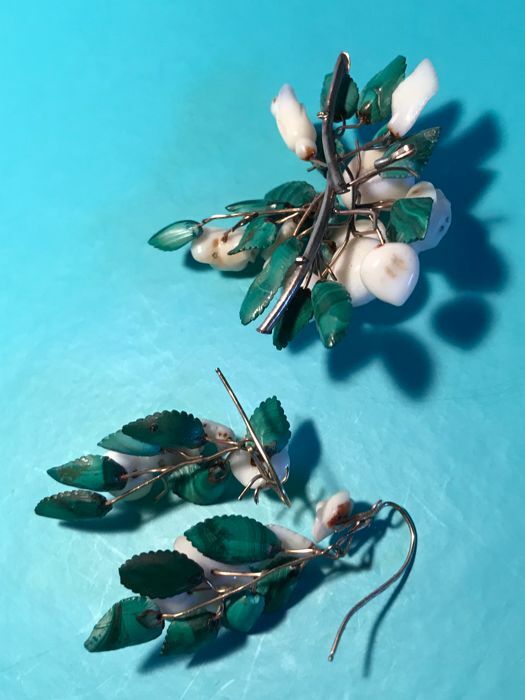 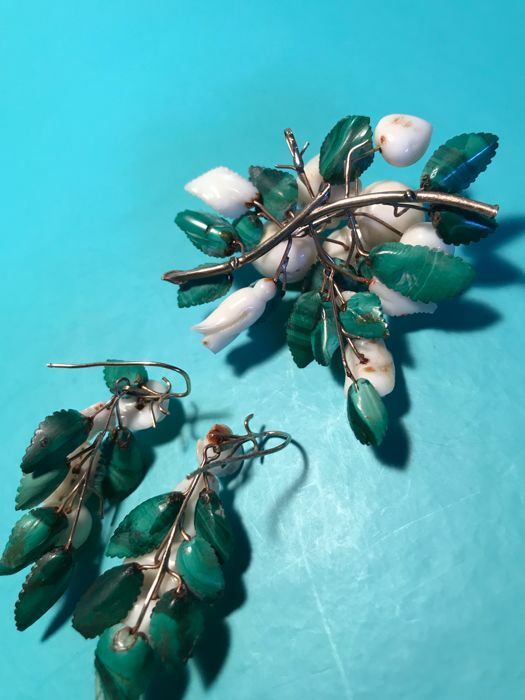 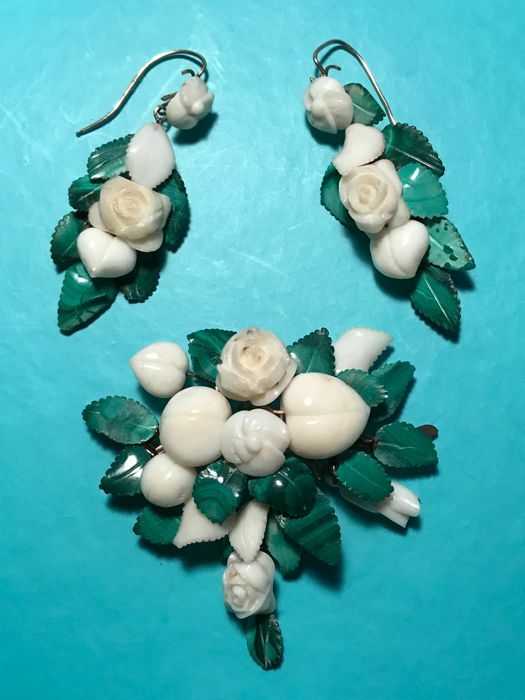 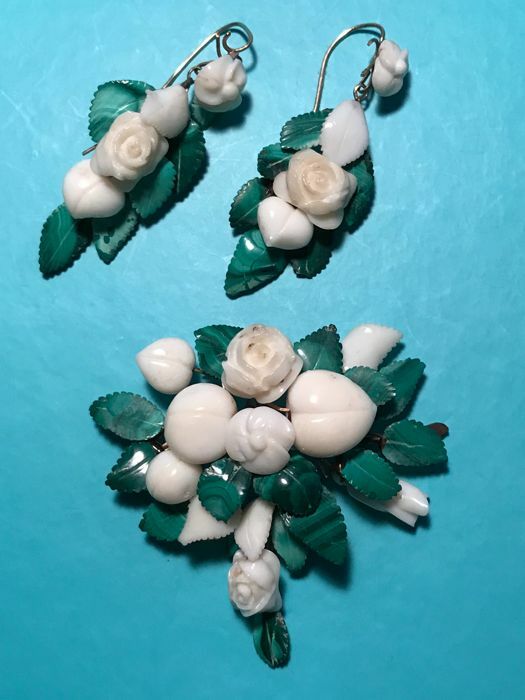 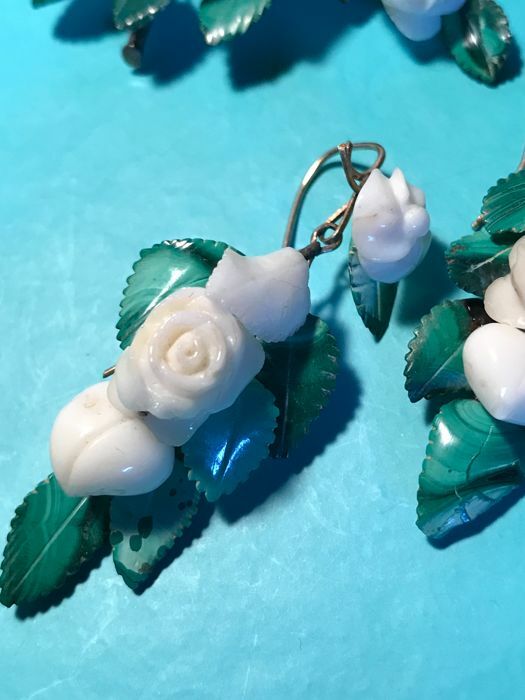 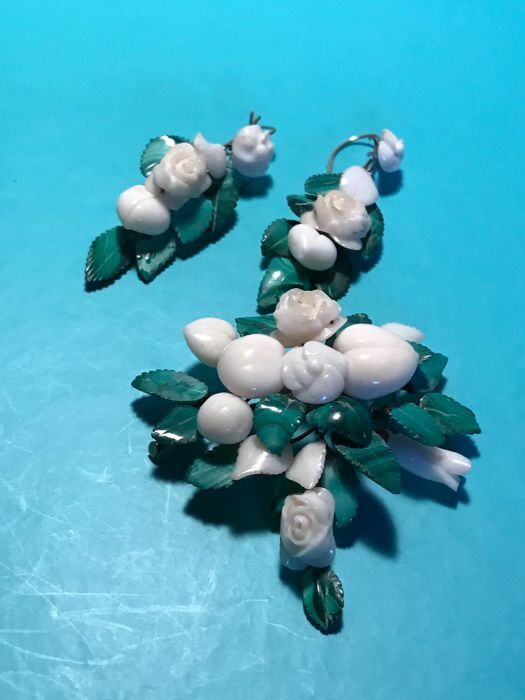 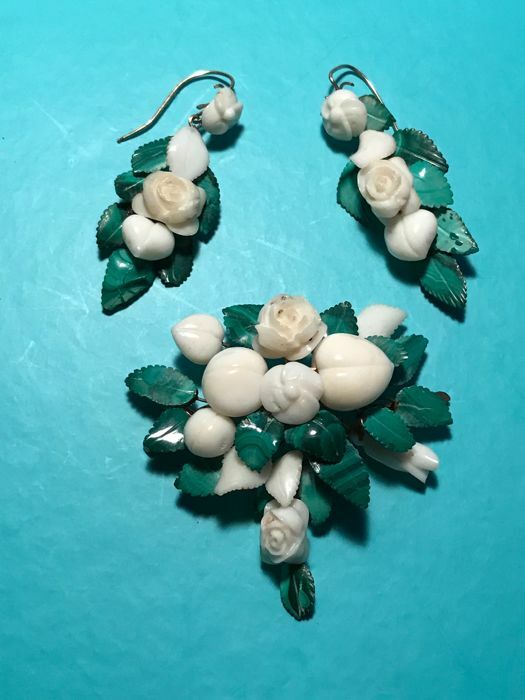 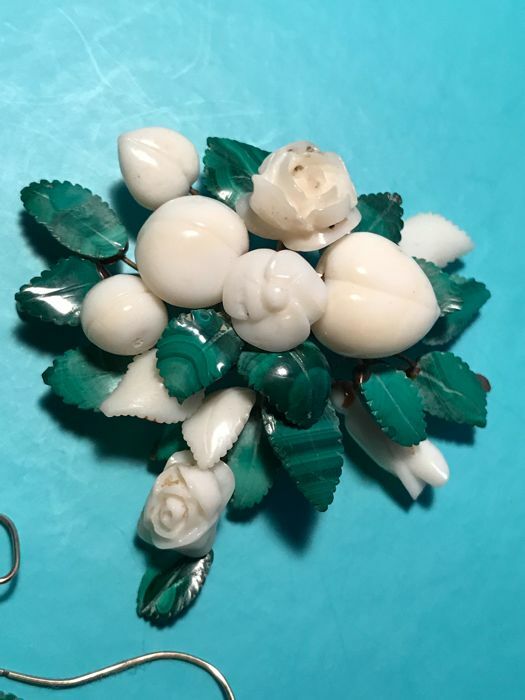 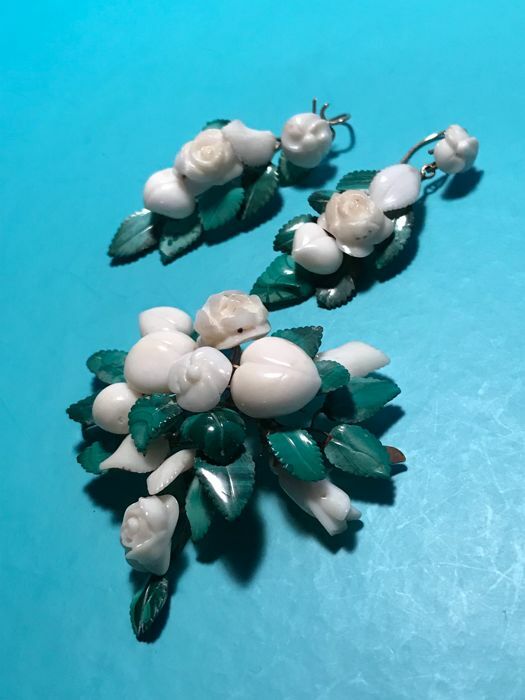 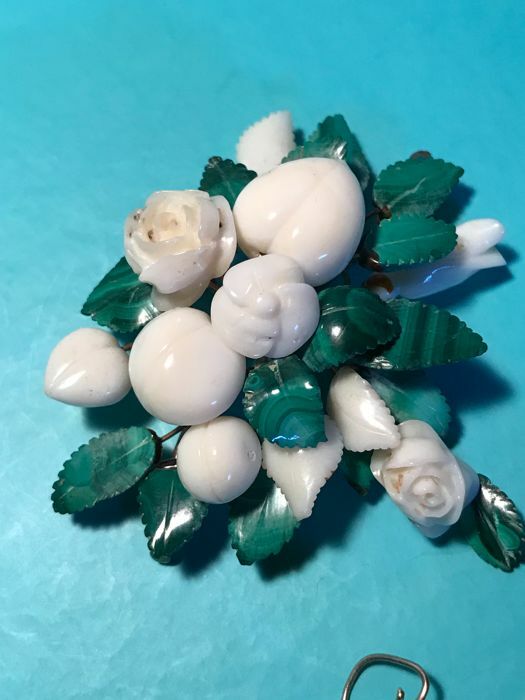 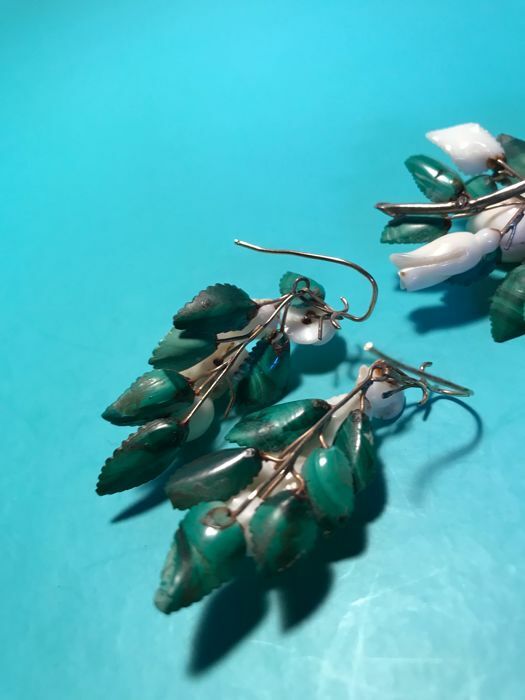 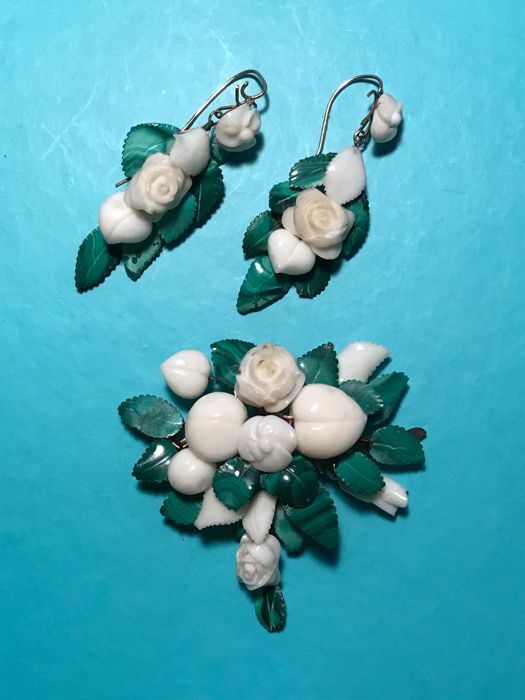 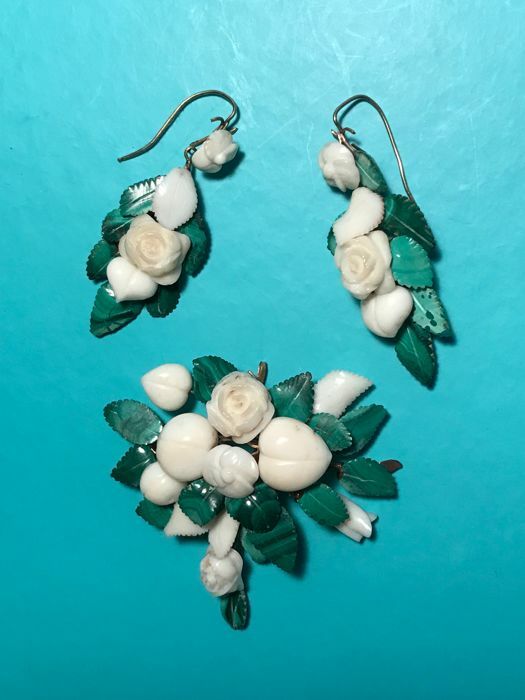 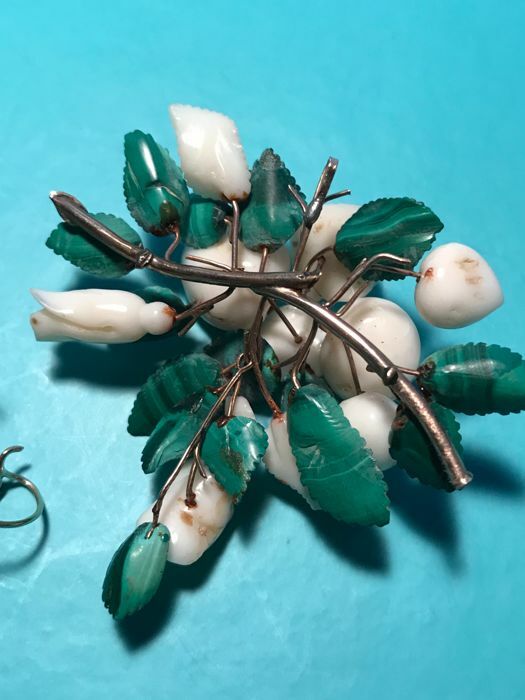 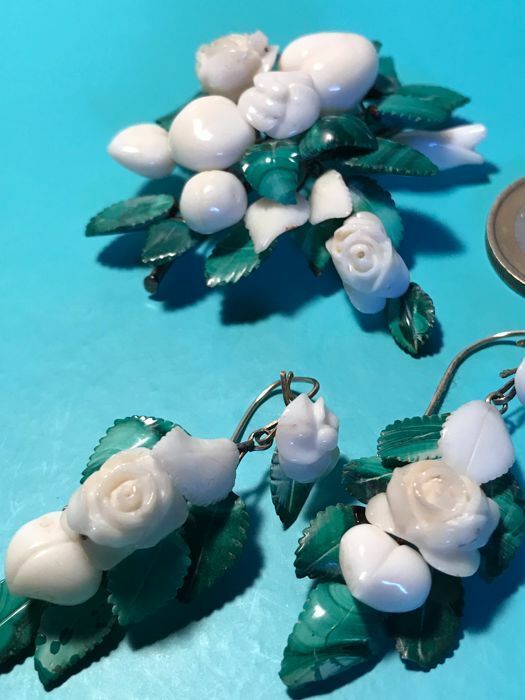 The floral motif is made with flowers and fruits carved out of white coral, and the leaves in malachite, with a fresh and charming effect, thanks to the striking combination of the two materials which is rather unusual. 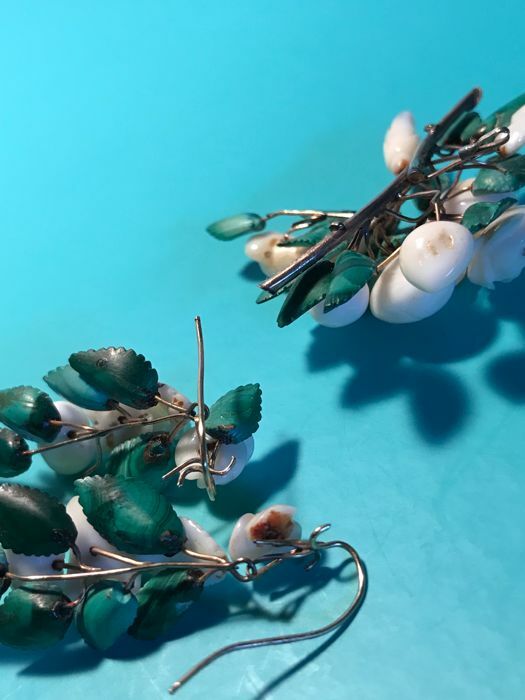 Due to the inherent fragility of the material, there are fractures on the decorative elements, all connected and structured with very light 8 kt yellow gold wires. 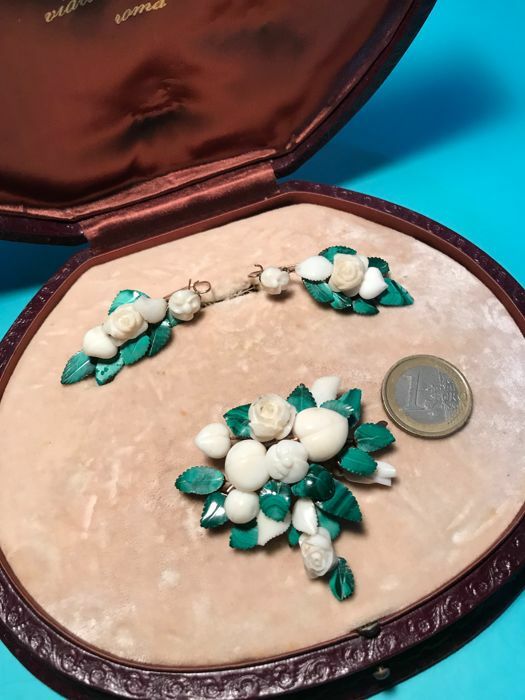 Shipped with a new box, and not the one shown in the photos. 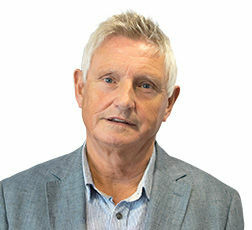 Insured shipment with tracking. 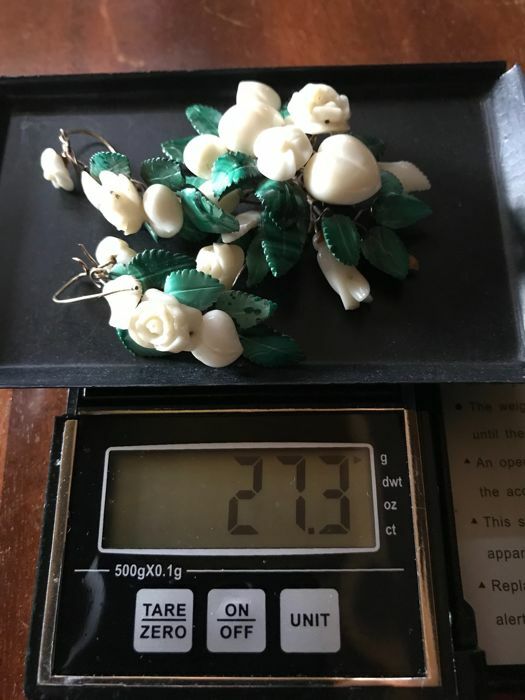 Any customs fees/duties are the responsibility of the buyer.